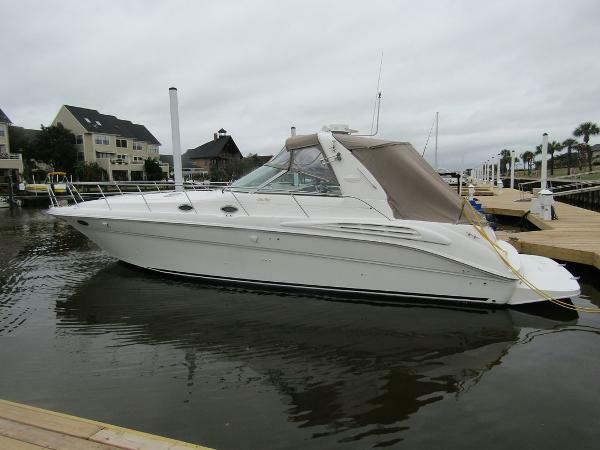 2000 Sea Ray 40 Sundancer WHAT AN OPPORTUNITY ON THIS CAT DIESEL POWERED SEA RAY 400 DANCER!!! VERY NICELY MAINTAINED EXAMPLE OF THIS SOUGHT AFTER EXPRESS CRUISER. ADDITIONAL RECENT PHOTOS COMING SOON. 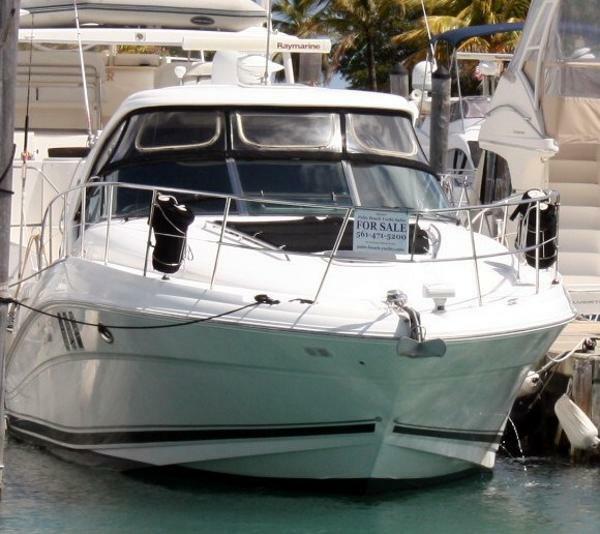 1999 Sea Ray 40 Sundancer *****NEW LISTING - MORE PICTUES COMING SOON***** If you are looking for a quality diesel powered express cruiser that has been well maintained and priced right, you really need to take a look at "Lady Diamante"! She is powered by twin 340hp Caterpillar diesel engines with low original hours. Very well equipped with many recent updates, including a new Garmin 7212 Large 12" Color Screen GPS/MAP/Plotter/Depth/Radar in 2015. She has newer exterior upholstery and canvas. She has been well maintained and it is apparent as soon as you step aboard. Truly a must see! Offers Considered! 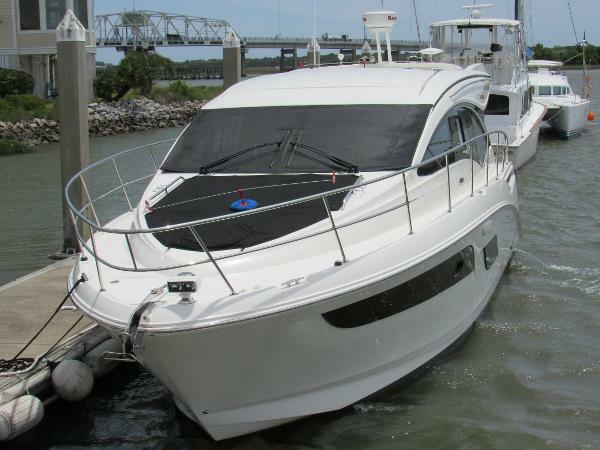 2007 Sea Ray 40 Sundancer Here's your chance to own one of Sea Ray's most successful and greatest boats. South Beach has Cockpit A/C and hardtop. Freshwater boat and stored in a covered slip here on Lake Lanier. Cockpit TV and extended camper top are some of the notable features on South Beach. Call today to set up your private showing. This boat will not last!!! 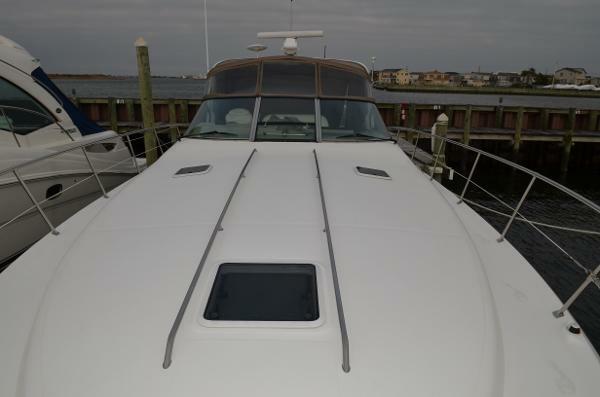 With its sweeping deck lines and dramatic profile, this elegant 40 Sundancer is sure to get noticed. 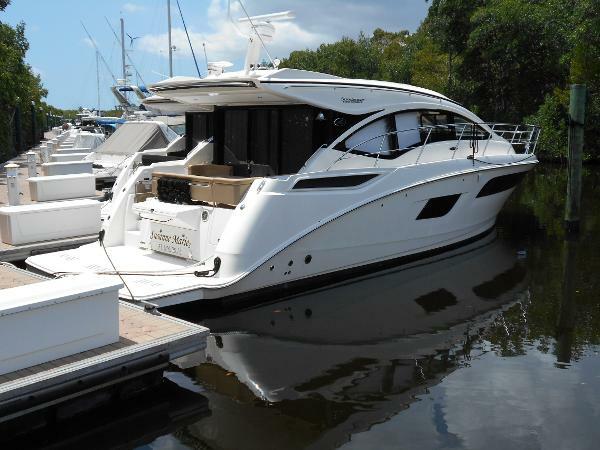 This member of the Sundancer family features a sleek, wood-trimmed helm with custom-designed instruments, plus an optional fiberglass hardtop. Engineered to outpace every other boat in its class, the 40 Sundancer offers a spectacular combination of style, power and grace. 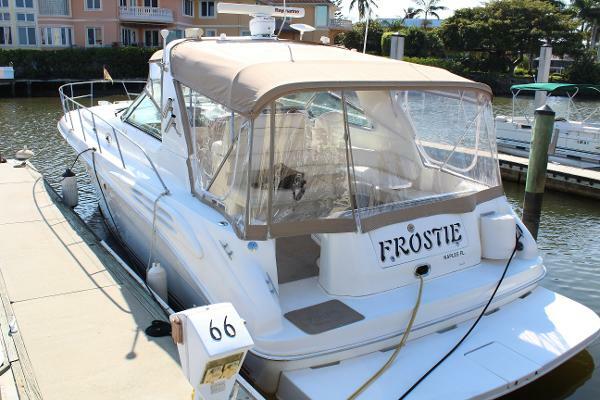 1998 Sea Ray 40 Sundancer Freshwater only Diesel power 3116 Cats 340hp. 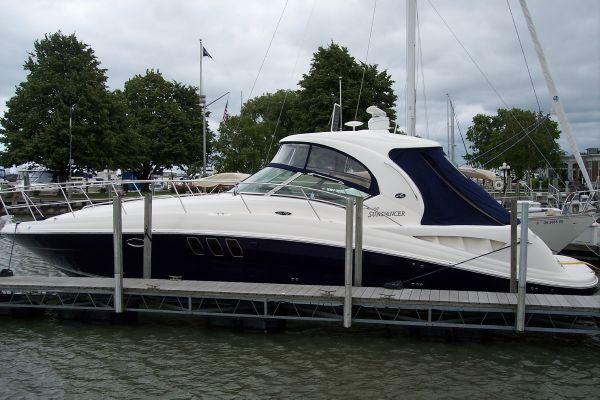 1998 Sea Ray 40 Sundancer is very well cared for. Newer camper canvas with additional screens, Cabin shows like new, overall condition is above average. MarineMax owned boat. trades accepted. 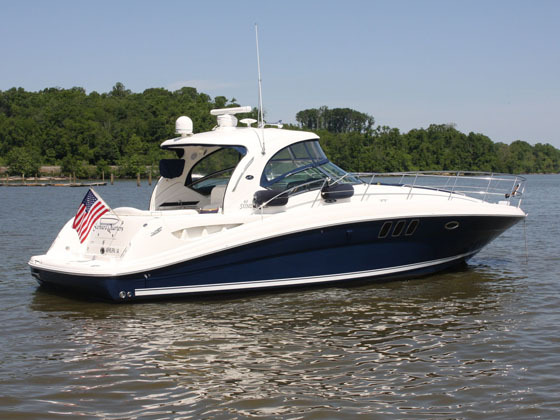 Ask about MarineMax added additional items that come with this boat. 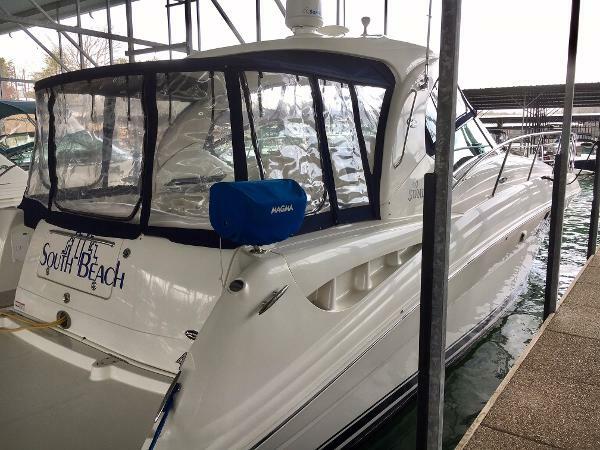 Full detail, full tank of fuel, transom name installed, all services up to date on engines and gen set and captains orientation. 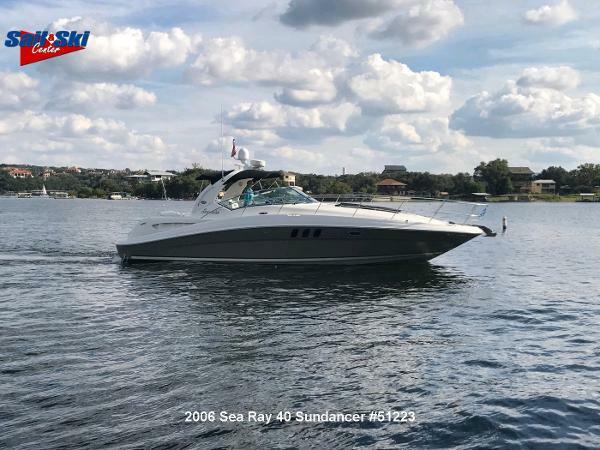 2006 Sea Ray 40 Sundancer This is a very clean, fresh water 2006 Sea Ray 40 Sundancer that has only been on Lake Travis, a Central Texas freshwater lake. It has always been stored in an over sized covered slip, so it hasnt gotten the sun baking that happens to coastal boats. It is ready for a new owner with a fresh bottom job (2015) and up to date service. 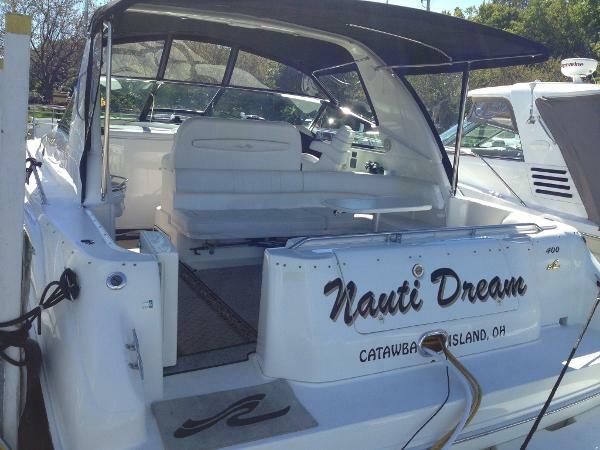 This boat has both Northstar and Raymarine electronics as well as satellite TV, so it would make an ideal cruiser or weekend boat. The generator is covered with a sound box, it is so quiet that you can barely tell that it is running and with less than 600 hours is barely broken in! 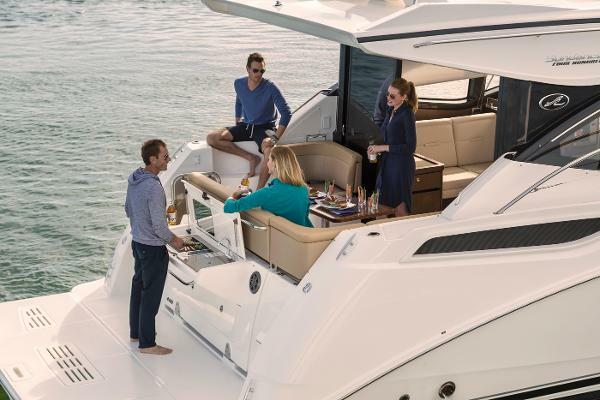 The 40 Sundancer improves on the 390 Sundancer with the addition of large hull side windows that flood the cabin with natural light, yet keeps all of the features that have made the 390 Sundancer so well loved. These features include a separate shower, head with 2 entrances, apartment sized galley fridge, private forward stateroom with inner spring mattress, and a very spacious cockpit. 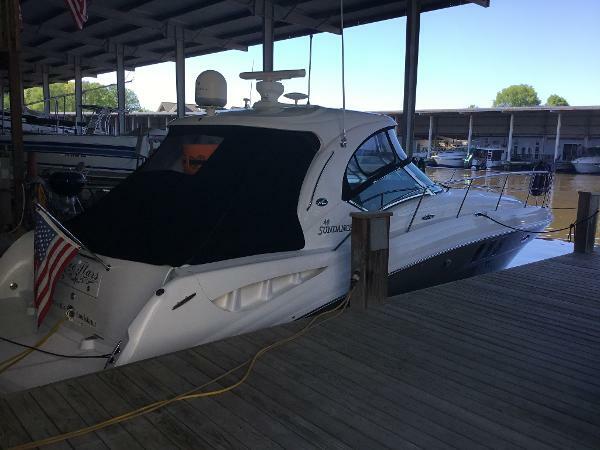 This boat has the very reliable MerCruiser Twin 8.1 S Horizon V Drives which are smooth and quiet to operate and so easy to handle around a dock. They only have 350 hours on them. It also has full enclosure canvas, a forward sunpad, a remote spotlight and an electric anchor windlass. 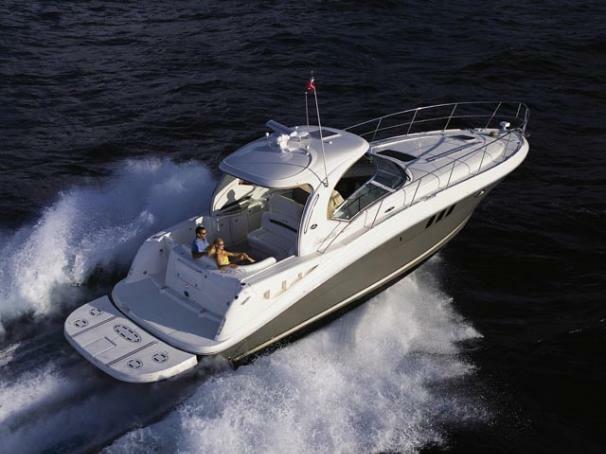 The 40 Sundancer makes a great boat for family fun, entertaining or cruising. Bring your towel, your bathing suit and move in! 1998 Sea Ray 40 Sundancer Freshwater since new 1998 Sea Ray 40 Sundancer Powered by twin 340hp caterpillars diesels with 900 hours. 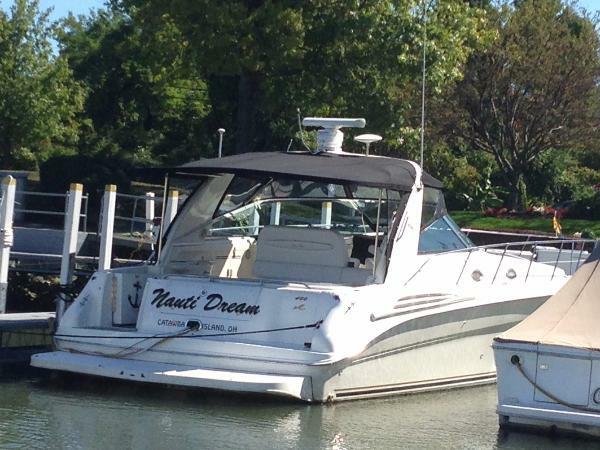 If you're looking for a well cared for clean diesel freshwater boat you just found it! The 400 Sundancer features two staterooms with two heads with sleeping for an additional two people on the salon couch with filler cushions applied. Full size refrigerator in the galley with 3 burner electric stove, microwave oven and NuTone blender. The cockpit features large U shaped seating with cockpit table that converts to sunpad or additional sleeping in cockpit. Electrically operated engine room hatch allows for easy access to the engine room. The owner recently had a custom aft extended sunshade for additional room in the cockpit with canvas enclosure additional side and aft screens.